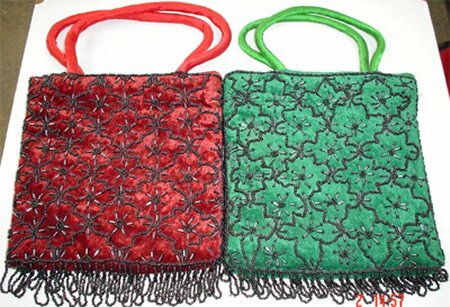 Red or green beaded clutch bags. Embroidered with black beads. Suitable for any occasion.